Paris, collection of G. Cain. According to Adhémar, Cain sold the painting to Sedelmeyer on April 6, 1900, for 2,000 francs. She cited no source for her information. Gillet, Un Grand maître (1921), 136-37. Macchia and Montagni, L’opera completa di Watteau (1968), cat. 3o–A. Baticle, “Le Chanoine Haranger” (1985). Although Gillet accepted the attribution of this portrait to Watteau, Adhémar judiciously listed it among “École de Watteau, douteux, incertains.” Macchia and Montagni included it among “other works attributed to Watteau” but were otherwise noncommital. 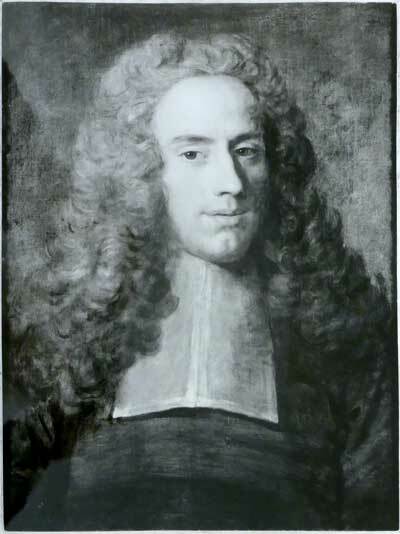 Anonymous French artist, Portrait of an Abbé. Nicolas Lancret, Portrait of a Family (detail), whereabouts unknown. 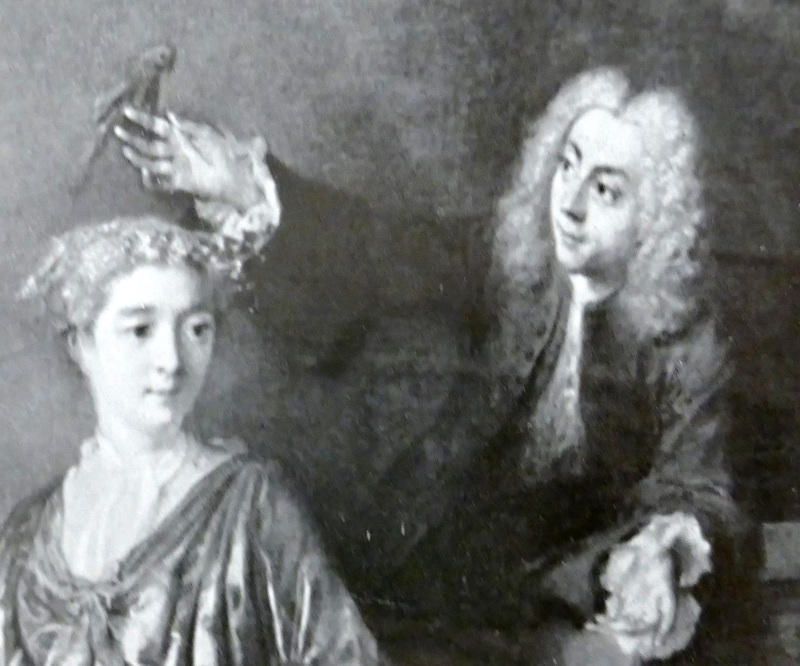 While in the Algiers museum, the attribution was shifted to Nicolas Lancret but that idea is not convincing, an opinion shared by Mary Tavener Holmes. Lancret’s portraits tend to reveal relatively little of the sitters’ physiognomies and, instead, emphasize the artist’s characteristic features—such as bulging eyes—that we find in his fêtes galantes. In contrast, the Algiers portrait appears to be by a painter trained in this genre. Unlike most portraits sold under Watteau’s name, this work at least seems to be French and not far removed from his circle and era. Watteau, Studies of an Abbé and a Woman (detail), red and black chalk. London, British Museum. The identification of the sitter as the abbé Haranger found general approval in the early twentieth century but today is rarely mentioned, much less accepted. For example, the portrait is not cited in Baticle’s ground-breaking study of the cleric. Pierre Maurice Haranger (d. 1735; the canon of Saint Germain l’Auxerrois, Paris), a noted collector of art as early as the 1690s, was a friend of Watteau and was portrayed by him in a number of drawings and paintings. The artist spent his last days at the abbé’s home in Nogent-sur-Marne, and left him a good portion of his portfolio of drawings. We do not know how the Algiers portrait was identified in the nineteenth century, and can only wonder if the association with Haranger was not invented by Sedelmeyer when he owned the painting at the turn of the century. He undoubtedly was prompted by the man’s clerical collar and the knowledge that Watteau had been befriended by this prelate. 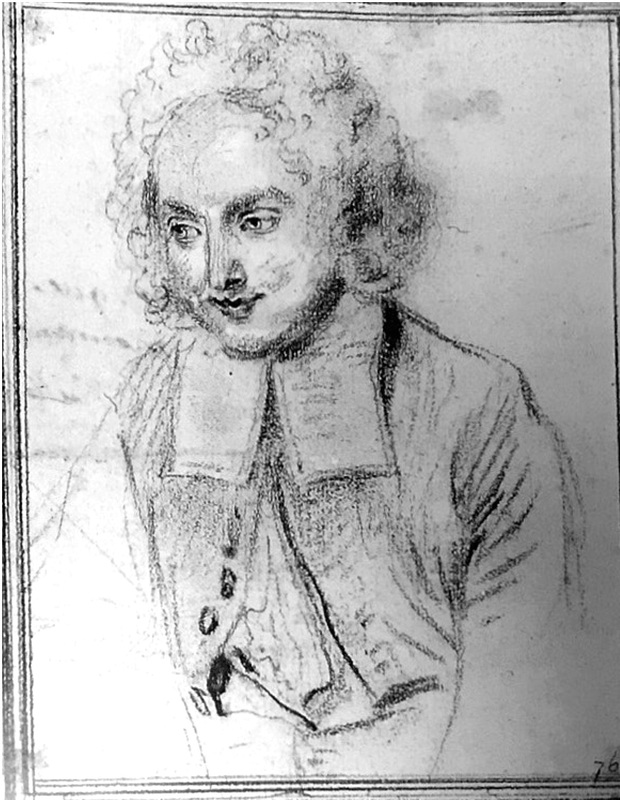 The cleric’s true, but different, likeness is recorded in a number of the artist’s drawings, such as one in the British Museum (Rosenberg and Prat 657). The differences include the disparities in age, a round face versus a long face, the shape of the eyebrows, even the type of wig worn. They are sufficient to throw into doubt the identification of the painted effigy. Adhémar sought to get around this conundrum by asking whether the painting might not represent Haranger’s nephew, but we now know that his nephew was a navy officer. Anonymous French artist, Portrait of Mademoiselle Haranger, 65 x 54 cm. Whereabouts unknown. When Sedelmeyer sold this painting in 1903, he joined it side-by-side with a portrait that was claimed to represent Mlle. Haranger, the curé’s sister. He sold the two paintings independently, but their juxtaposition and the sitters’ supposed relationship as siblings implied that they were pendants. 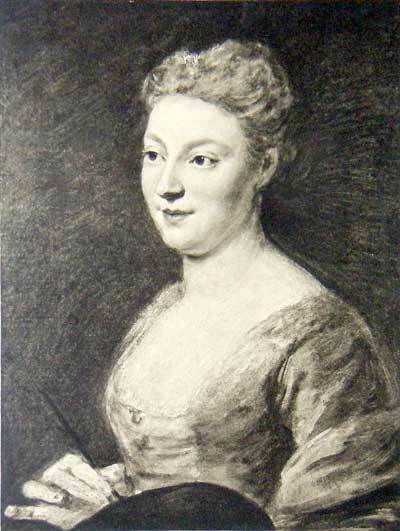 Sedelmeyer claimed that both had been in the collection of a Madame Cottini, but it seems likely that only the portrait of the woman had been in the Cottini collection. Gillet and Adhémar confused the provenance and exhibition records further, implying that they had traveled together still earlier when they hadn’t. From 1903 until the 1937 sale, the two paintings traveled together. They are almost but not exactly comparable in size, yet their proportions and formats are dissimilar. The abbé is fully frontal and close to the surface, whereas the artist is turned at an angle and set farther back. He looms large while she is more diminutive. In short, the claim that they were pendants does not bear scrutiny. Although Adhémar classified the portrait of the abbé as a work on panel, it is not.